In a previous post I shared one of our adventures in the Otways National Park and in this post I’m just going to share a few more of our trip highlights. Keep in mind we did this all in two days. 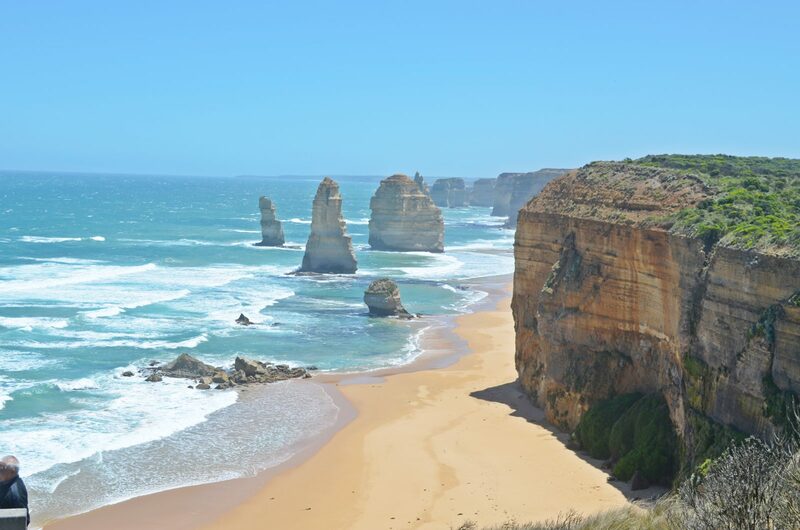 We could’ve stayed longer and spent more time hiking or doing the Great Ocean Walk but this overnight-er gave us a good taste of what the GOC has to offer. 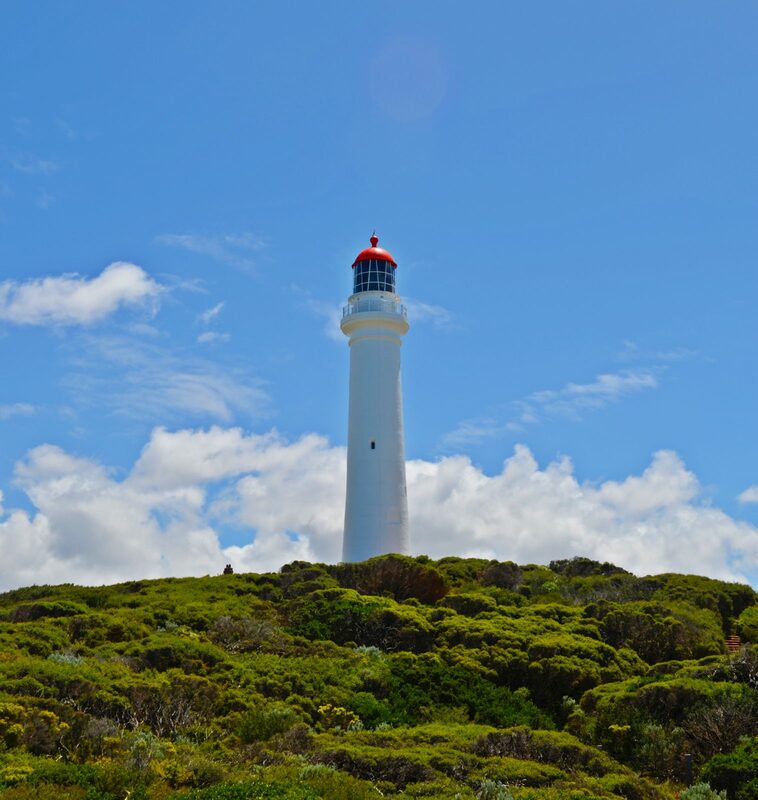 We stopped at Aireys Inlet where we got our first incredible view of what was to come and have a quick walk-around the Split Point Lighthouse. As far as lighthouses go on the GOC, this ‘lil lighthouse sort of gets overshadowed by the Cape Otway Lighthouse so I featured it here because it’s cool it in its own right; adorable, a part of history, and free. 🙂 Ryan snapped this gorgeous photo because he was in love with the contrast of the green grass and white of the lighthouse against the blue sky. Just call him Ansel Adams. 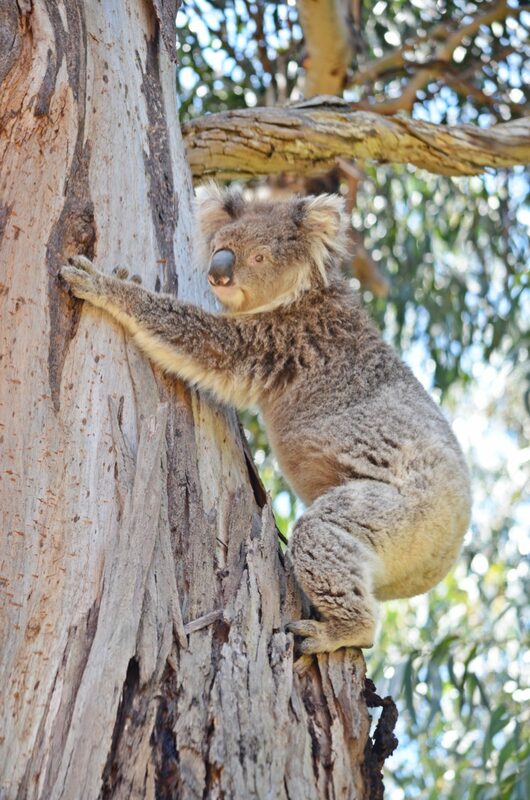 On the next leg of our journey we stopped off at Kennett River where we saw koalas in their natural habitat, which, by the way, is so much cooler than seeing them at a sanctuary. They were every bit as cute and as slow as the ones we’ve seen at the sanctuaries and they really paid no mind to us tourists. We were on their turf. 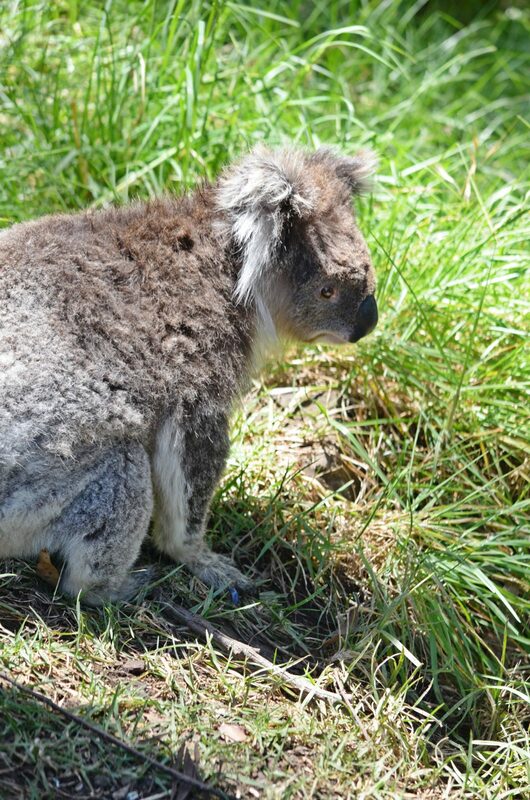 We also saw a ton of koalas on the road to the Otway Lighthouse and spent some time watching them there as well. I can’t get enough of them. We stayed the night in Apollo Bay at Captains at the Bay, a wonderful B&B and we enjoyed this place so much that we’re staying there again in a few weeks when my family comes to visit. The next day we did the Otway Fly Tree-Top Walk and continued on to Gibson’s Steps. It was a beautiful but windy day so we were able to enjoy the scenery (mostly) alone. 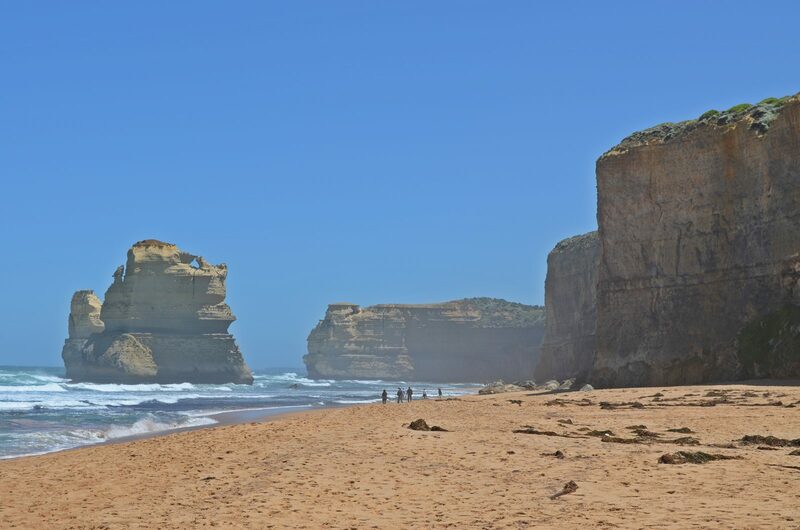 And finally we went on to the Twelve Apostles at Port Campbell National Park. *Blast, that guy got in my photo! So if you haven’t done the GOC, I strongly recommend doing it. We did it in two days and really just skimmed the surface partly because we knew we’d have the chance to go back. We’ll be dragging all our future visitors down “the road”, in otherwords, COME VISIT US! It’s an experience we won’t soon forget and neither will you.